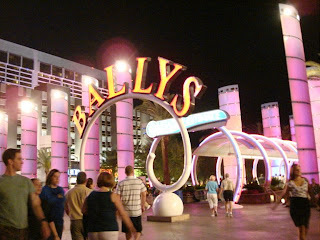 Bally's is one of the biggest casino hotel in Las Vegas. I was here three nights in a row watching my cousin performed. She is a singer/entertainer. We had fun dancing while the band of my cousin played here at Bally's. It has around 2,814 rooms. A lot of people come here to play games in the casino. I also admired the lights they have here. my dear friends, I am still very busy with my escapades...when i have time, i just post here some updates for you...hope to visit you soon when I will be back to Germany!! 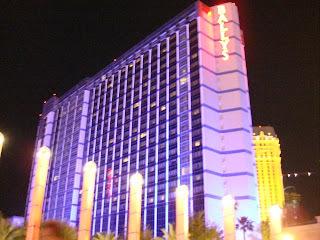 Bally's in Las Vegas with 2, 814 rooms...also a nice hotel!! a lot of people always passes this street...their lights are just very amazing! !